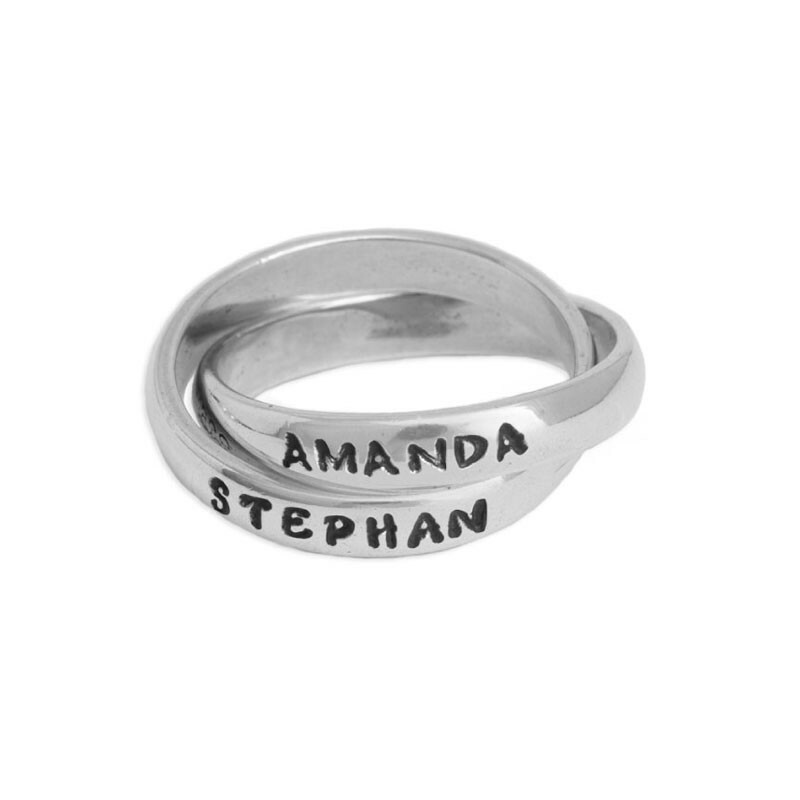 Two interlocking silver bands symbolize the bond you have forever. 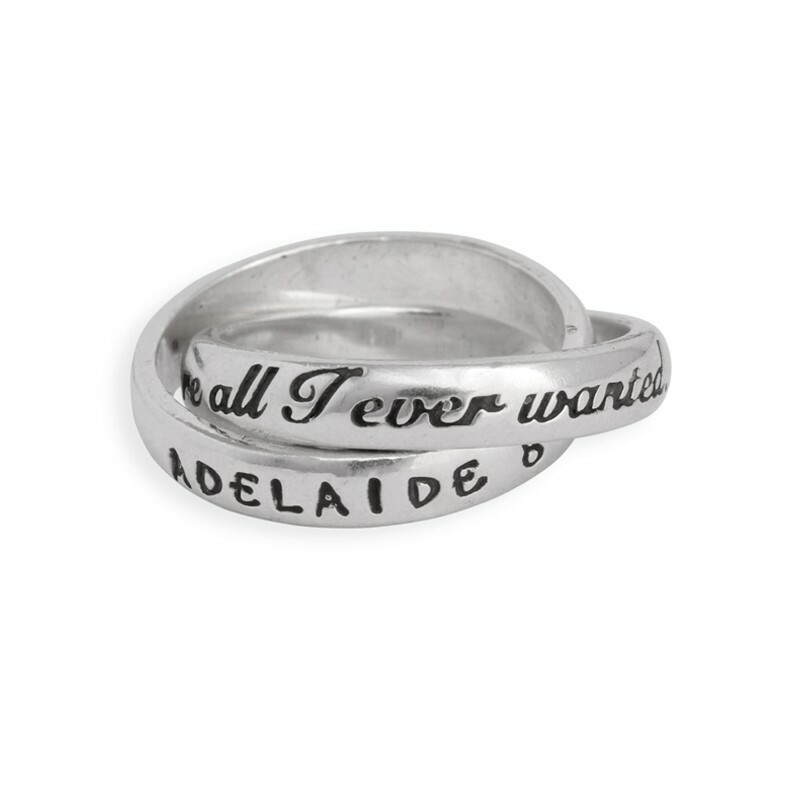 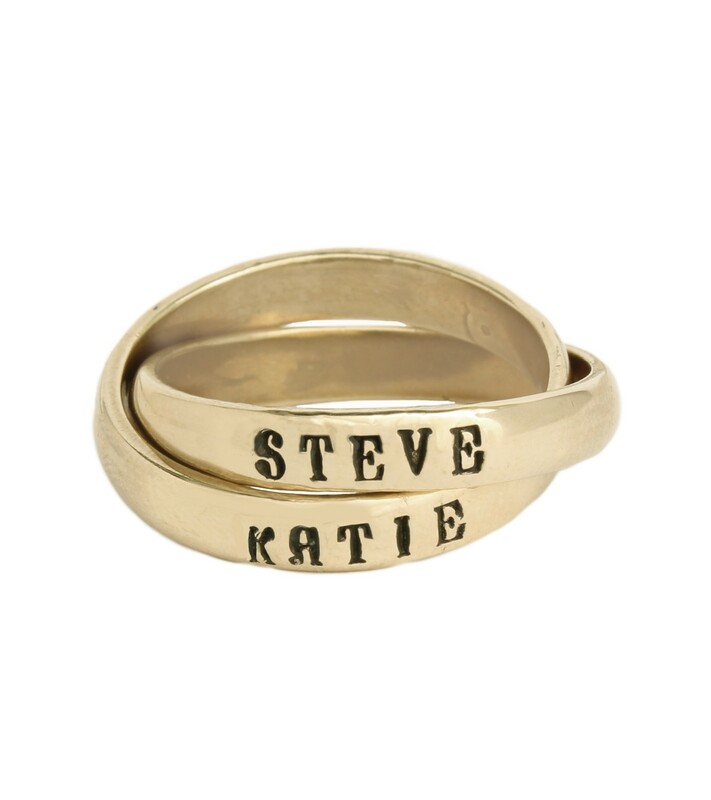 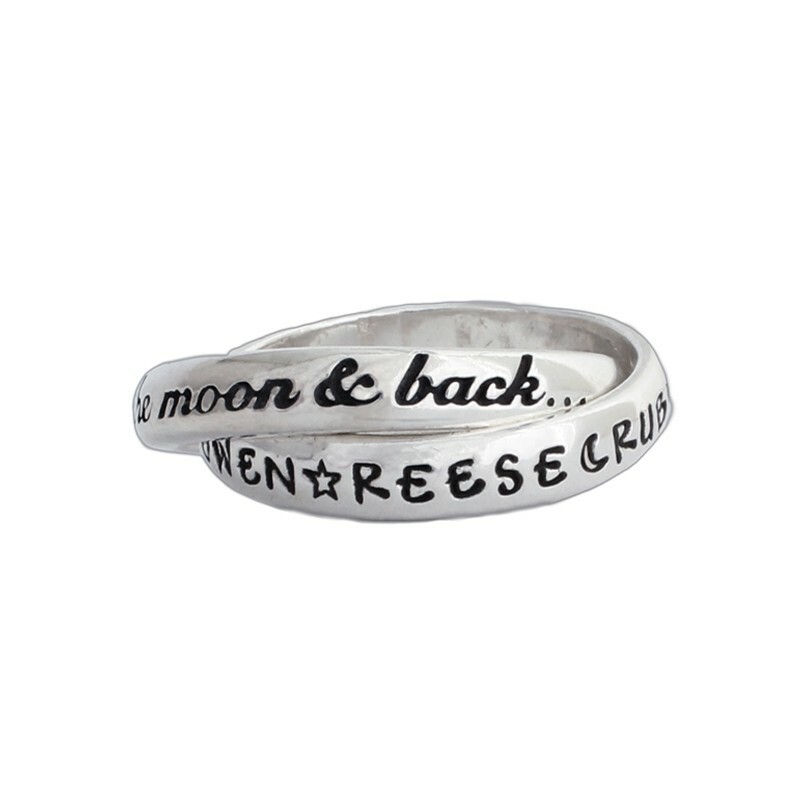 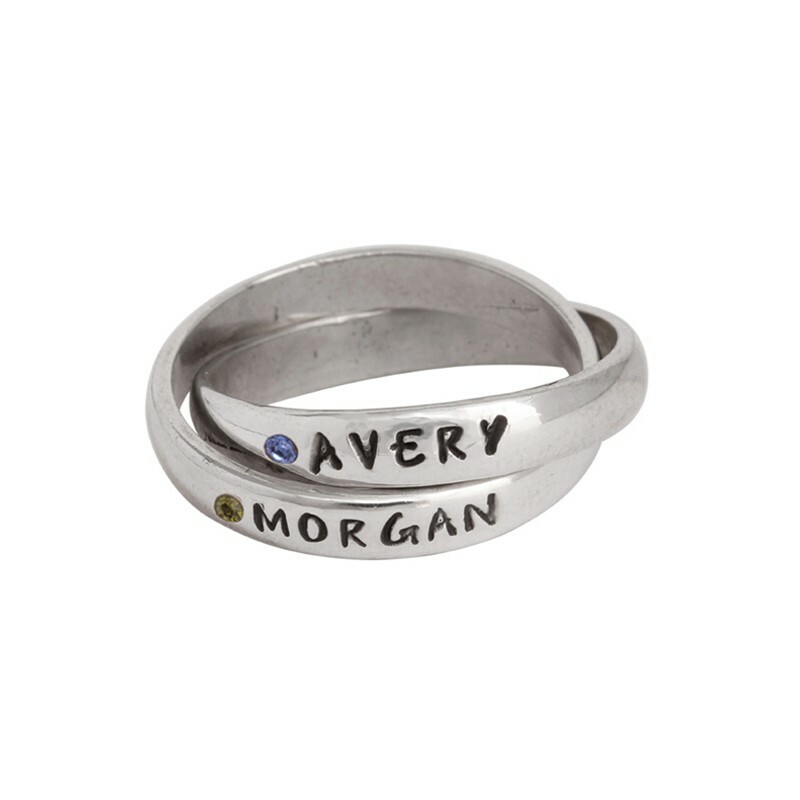 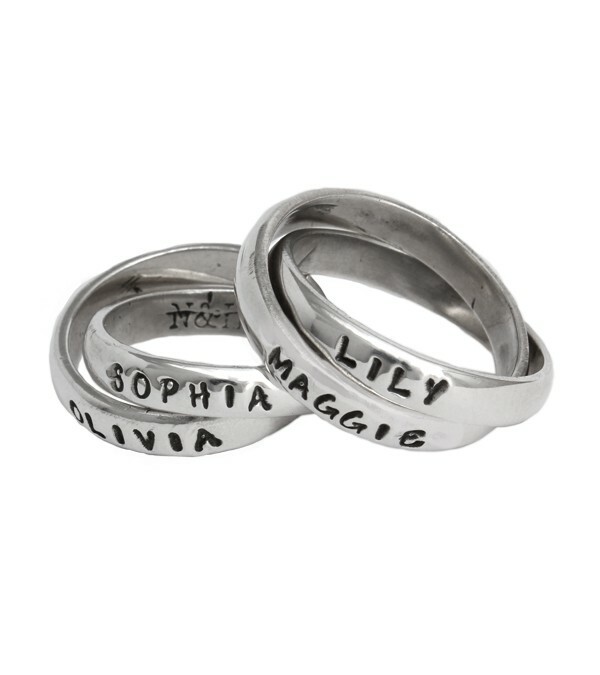 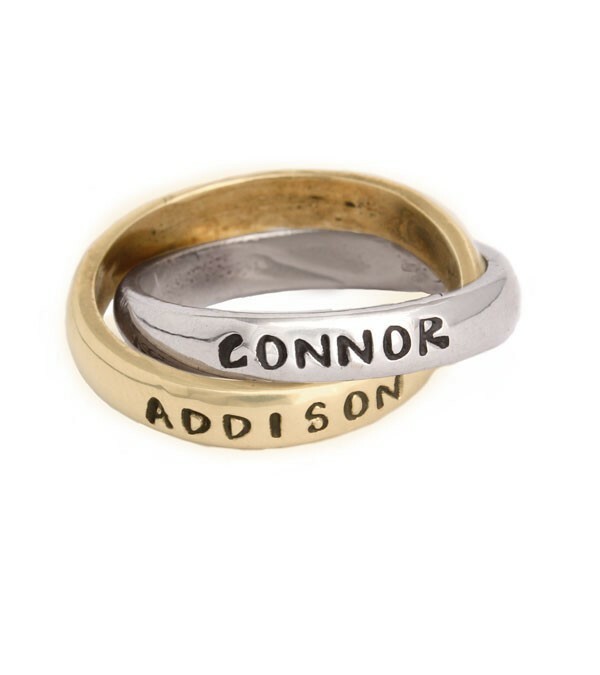 Your grandchildren's names can be stamped on each band and you can always keep them close with this special piece of grandmother's jewelry you will cherish for a lifetime. 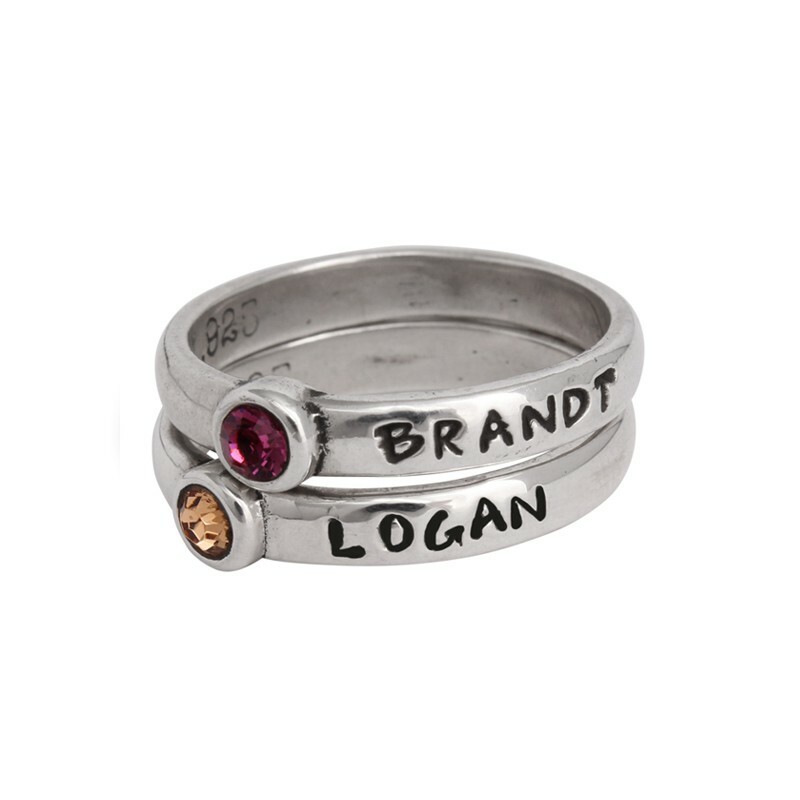 Choose a double grandmother's ring made of silver or gold and you can even create a birthstone ring if you want a little bling of symbolism!